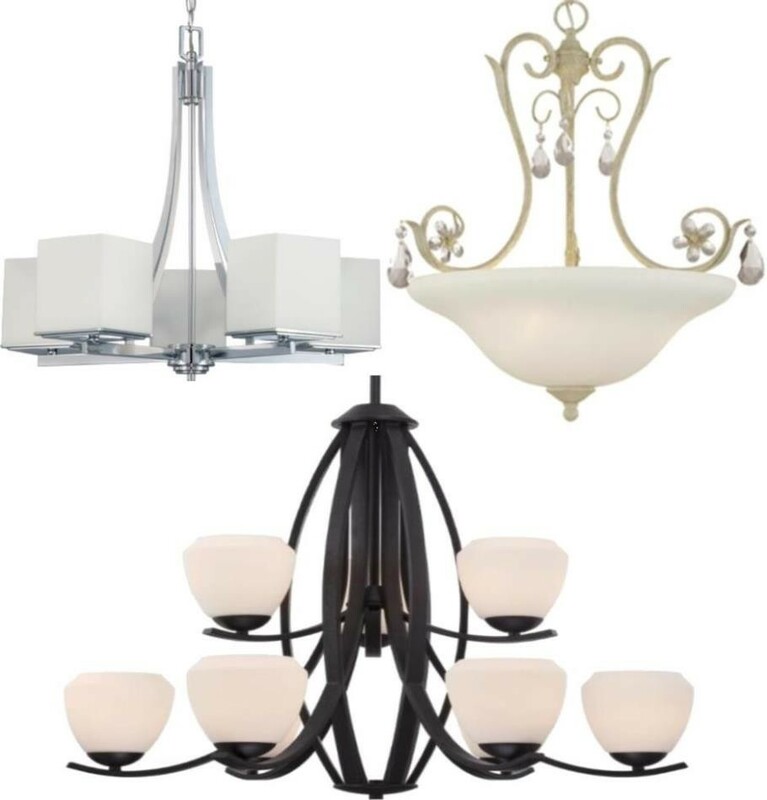 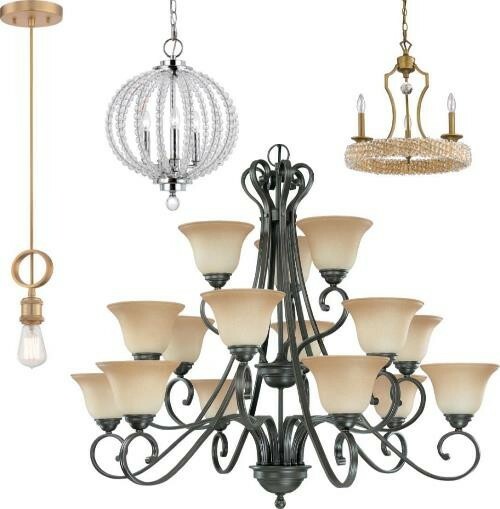 Buy plug in chandeliers here. 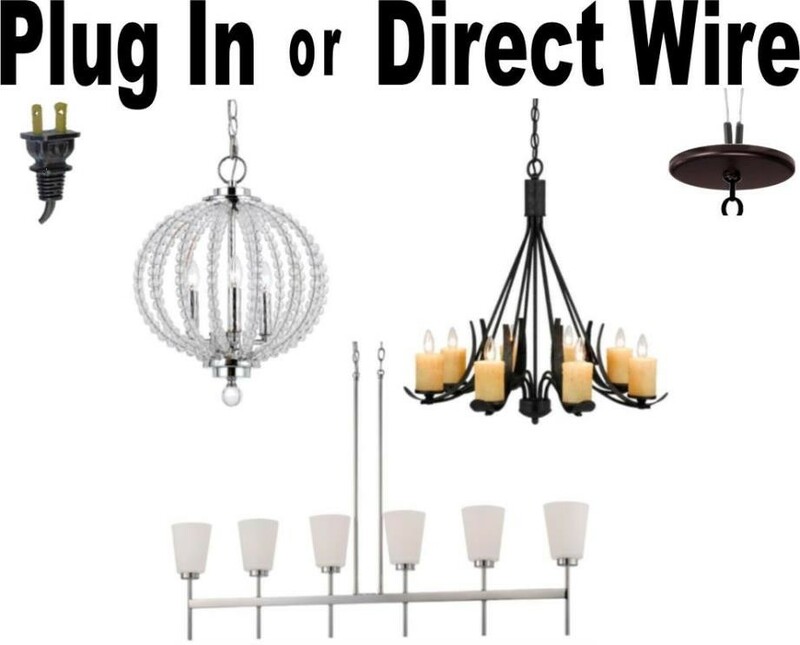 Our huge selection is available with 2 wiring options: Plug In the wall with extra long cord and chain or Direct Wire in the ceiling. 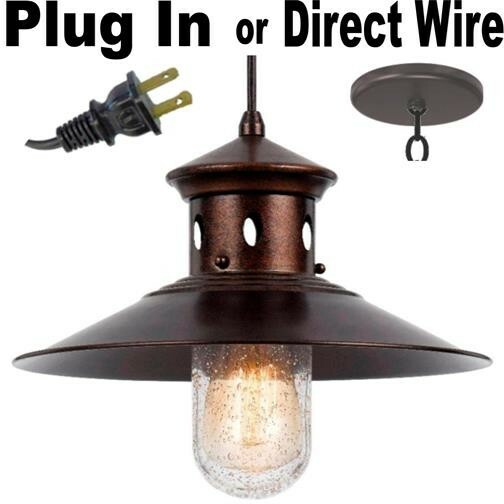 Mission Bronze Iron Wood Glass Island 5 Lights 36"W - Sale !